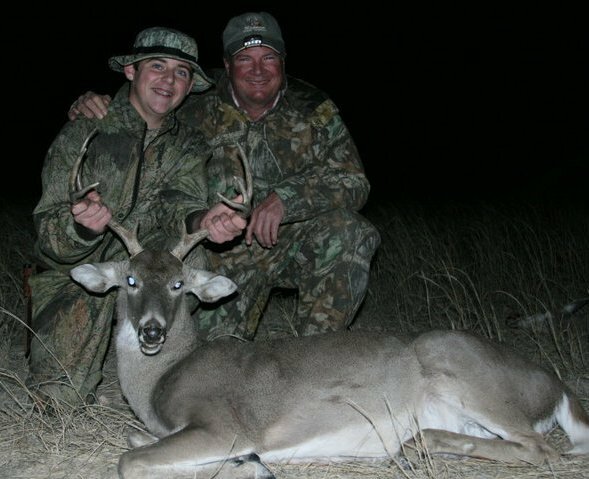 This is field editor Spencer Brent’s follow up article on his Texas Whitetail hunt with outdoor conservation hero Jim Roche. I posted a blurb a while back about having Spencer on board as a Mission Alaska field editor contributing for the Texas hunting experience. Thanks Spencer for the write up, what an amazing person Jim Roche is and what adventure both of you had. I just got back to home base in Palmer Alaska after two very exciting spring bear hunts. 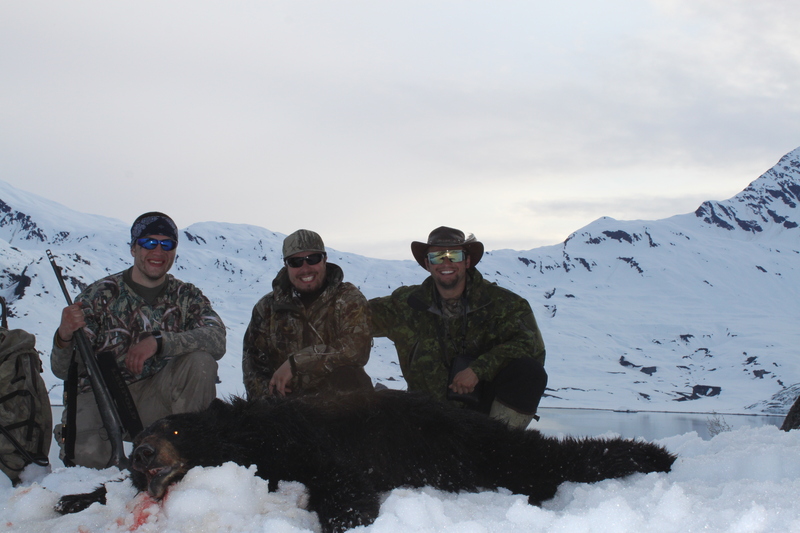 The first hunt North of Talkeetna was with Vince Pokryfki out of his river boat. We only saw one bear, however had the time of our lives on an unforgettable adventure. During our trip, Vince and I would be hunting with our longbows. After several days of hunting with no luck, we spotted a bear feeding up a river bank. I would attempt the shot with the back up rifle with iron sights and no scope, a hail Mary at best. The shot was a complete miss, and the bear was not harmed during the production. More details to come later, once I finish the entire bear hunting season in approximately one week. 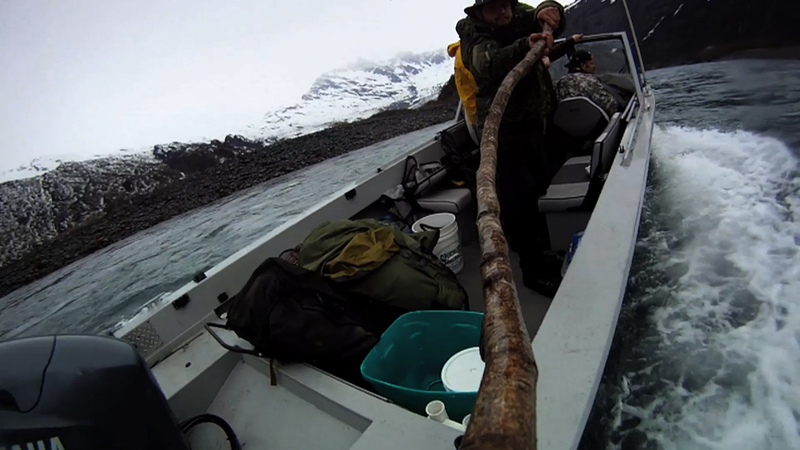 After the hunt with Vince, I would drive down to Valdez Alaska with Bridger VaNess(the videographer) to hunt beach combing bruins. 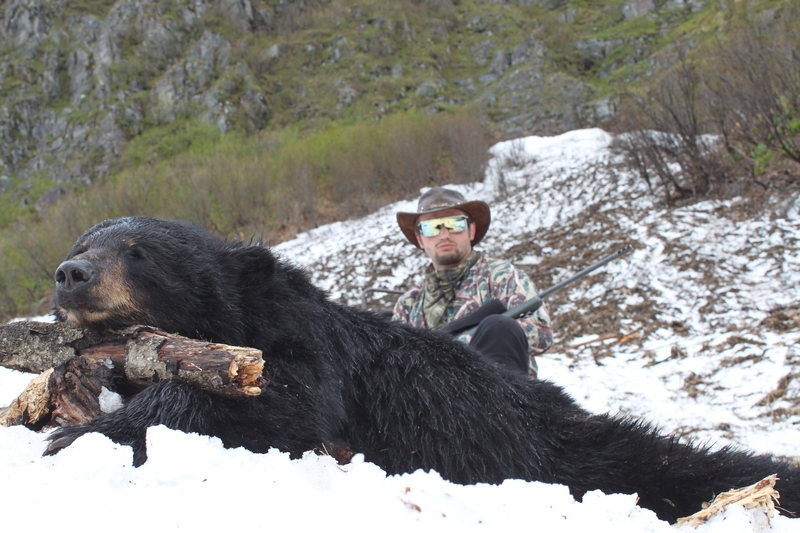 After two days of hard hunting, I would tag out with a beautiful Valdez black bear. Using a scoped rifle, I was prepared for this encounter. The DIY, spot and stalk, pack out hunt in this location would prove difficult. However with determination, I was able to weather the cold rain and deep snow to harvest my quarry. Not only did I have an awesome opportunity to take my bear, but I was also afforded the opportunity to share the great sport of hunting with a deserving individual. Bridger my videographer was so thrilled about hunting that I encouraged him to purchase his hunting license and tags prior to leaving on our Valdez trip. This encouragement could not have been more beneficial as I helped Bridger with his first big game harvest. Cool. After I had tagged out, Bridger and I met with Jason Semler who would be captain of his vessel, taking us to his secret bear hunting location outside of Valdez. It wasn’t long before Jason spotted a bear and kicked Bridger and I off on the beach. Bridgers very first big game stalk was a success and I could not have been more thrilled to share my passion with someone new to the hunting realm. More details to come. I am headed out on my next adventure to the Kenai Peninsula, in attempt to fill my two last remaining black bear tags. When I get back from my last leg of this adventure I will do justice to telling the stories of my 2012 bear hunting season. Should be a blast! I am currently traveling across the vast state of Alaska, hunting down and studying aggressive and dangerous bears. Throughout my first few days in here in Alaska I have come to a startaling discovery. 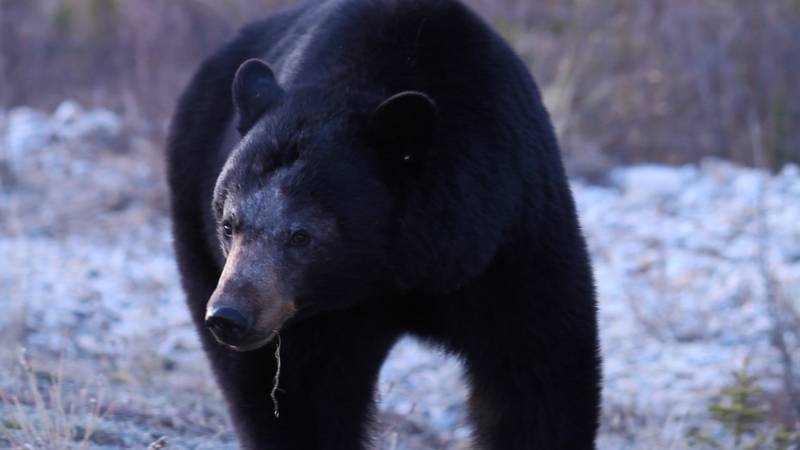 It seems as if the black bears near South Central Alaska have little fear of humans. Check this picture out of me standing and talking to a bear. 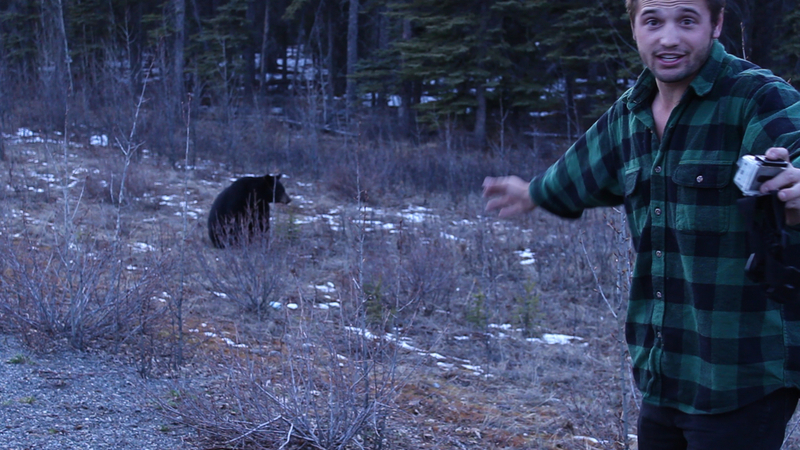 I had to be a bear whisperer in order to talk these few bears out of eating me. The bears had no fear of me, however the bears had plenty of food and farage in the area so I was not too worried. The bears vast food supply leave me in little danger, as the bears are not hungry. However, if these bears were to be hungry and had little food to eat, then I would be dead meat. What do you think of these pictures? Do you think many bears have lost there fear of humans after centuries of co-existing with us? Mission Alaska followers and fellow bloggers, I will be hunting bears over the next two weeks and will be periodically updating missionak when in cell phone range. North past Talkeetna AK running his river boat deep into bear country. The second leg of the journey I’ll be headed to Valdez AK, hunting monster black bears from the ocean with Jason Semler. 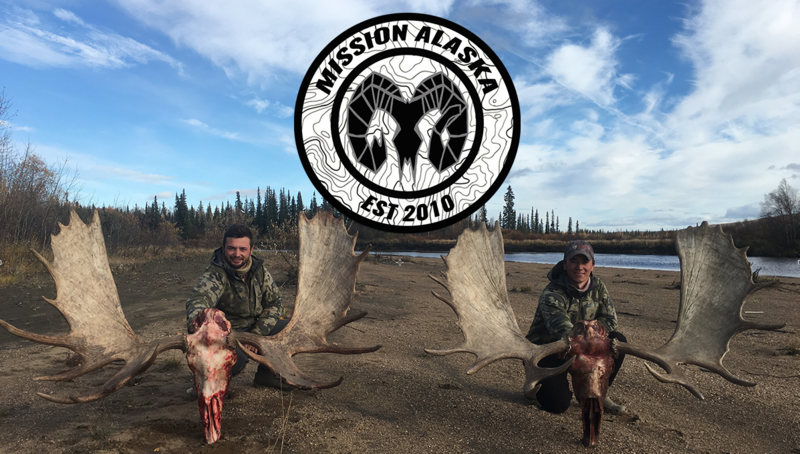 Keep checking back for updates and pictures over the next two weeks, the month of May is going to be an exciting one for missionak. This year I was granted the opportunity to help coach a high school rugby team, one of the coolest experiences of my life. PAC rugby team consisting of three high schools, Platte Canyon High School, Conifer High School, and Evergreen High School would join forces to make one collective club rugby team. Noticing an article in a local publishing paper, the High Timber Times, I saw the PAC rugby team would be attempting to win the state championship tournament a title that has alluded them the past three years. The PAC rugby team has made it to the state championship game the past three years in a row, however the team had not won the final most important game. This year would be different, this team would train like champions and prove themselves the best team in Colorado. The team played and were declared champions Wednesday night at Infinity Park, Glendale Colorado. The team finally proved themselves worthy of the title State Champs throughout this season, earning the right to the title by the last game of the season under the lights. I must say that I have never been more proud of someone else’s accomplishments. I admire each and every person on this team and have thanked them for letting me be apart of their magical season. I will be coming back next year to help assist coach this team to yet another state championship game. Training started basically immediately after the final game had ended. The underclassmen sent the graduating seniors off, to say the least, the best way they possibly could as the most dominant high school rugby team in the state of Colorado. Thanks again to Coach Hugh Miller and Coach Marty for letting me be apart of these young mens development. I learned much more than I coached and can’t wait for next years playoffs. GO PAC RUGBY! GO! TRI TIME!!!!!! 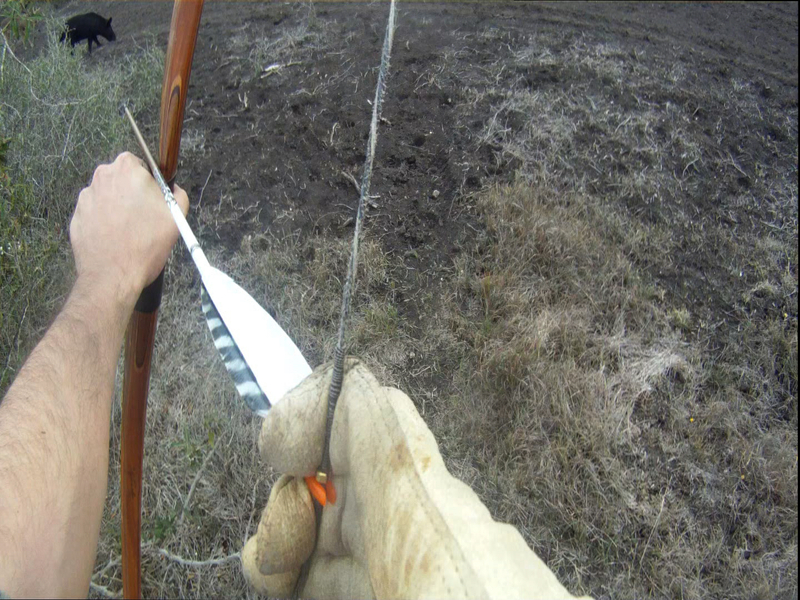 Trick Cam Stick Cam POV, picked up the stick cam pole while on a 14 day 2011 Alaskan Spring Bear Hunt. Ever wanted to have your hunt captured on film, but couldn’t convince your buddy to sit in your tree stand with you? There is a new revolutionary piece of technology in the outdoor industry that is changing the game as we speak. Go-Pro the Outdoor Edition, the all weather, shock proof, ultra small, mega High-Def, bad-to-the-bone camera sees the world as you see it and is the easy answer to all your filming needs. The Go-Pro takes outdoor videography to the next level. Throughout my experience as an outdoor field producer (vid cam dude), I’ve found the Go-Pro camera to be my go-to tool in my hunting arsenal. Its small size and weatherproof casing makes the camera the world’s most versatile; taking on anything mother nature throws at you. No tools required for the endless attachments provided with the Go-Pro including chest mounts, handles bar mounts (works nicely for custom barrel or archery shots), suction cup mounts, adhesive mounts, helmet or head strap mount, allows the user to film easily and achieve a variety of shots including close-mid range kill shots. The wide angle lens records the perception of your point of view. This allows you to be as creative as you want, or a simple as you want. The attachments for this product make the Go-Pro extremely user friendly and can take a zero to a hero over night. Seamless transfers to your computer in an easy MOV file, the Go-Pro records to secure digital cards (SD) 2GB,-32GB (gigabyte) cards. Depending on the SD cards storage size, you will be looking at one-two hours of HD filming. Closer to the pricing of the mid level game cameras such as Bushnells 8pixel Trophy Cam, the Go-Pro is a steal. For $299 Go-Pro hooks you up with the HD Hero 2 Professional camera package with all the basic attachments to get you in the field and filming with the press of a button. When compared to higher end videographer camera rigs(costing thousands), with use lighting equipment, wireless microphones, additional camera lens, tripods, boom microphones, the Go-Pro has all of the above combined in a mini user friendly camera. The Go-Pro has advanced settings with a manual book so you can customize your camera to your preferred setting. However, it’s ready to film out of the package after a quick charge. 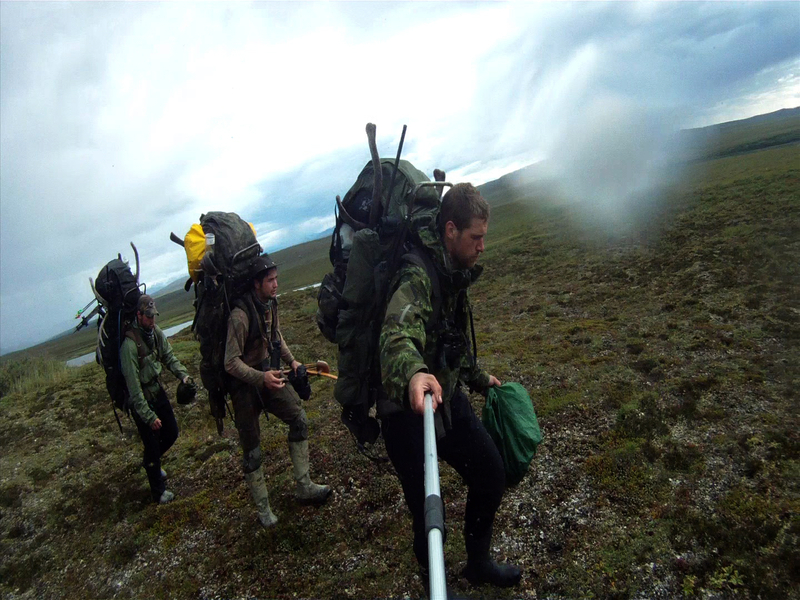 Go-Pro Stick Cam POV on Dalton Highway Caribou Hunt. 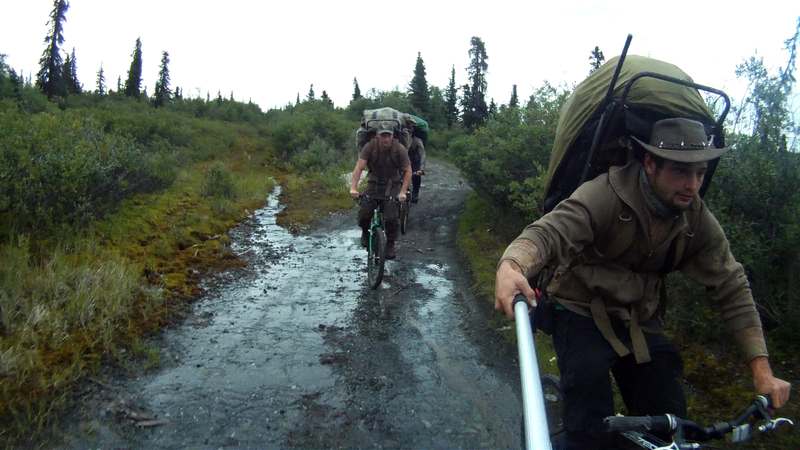 There was a full caribou on each of our backs in this photo. The Go-Pro did all the cameraman work.. Throughout my experience as an outdoor videographer, I have purchased one Go-Pro that has traveled with me from Alaska, to Pennsylvania, to south Texas and everywhere in between. This product is rugged and reliable, period. Field producing many outdoor TV shows in the past few years, I have been privileged to meet some of the coolest people in the world. Take for example Mike Hanback, the dude is the real deal on and off camera. We have made a couple whitetail episodes out of Texas with our buddies Sarge and Brandon. Each year several of the Go-Pro shots will make it to the silver screen. Also, each videographer I’ve met in dual cameramen hunts had at bare minimum of one Go-Pro. In my opinion the Go-Pro has revolutionized the way outdoor television productions are filmed, allowing for a very unique list of shots. This product no doubt makes the average Joe a hero, all with the press of a button. The price is affordable for the American working man, and if your lucky maybe this year you’ll get an early Christmas present from a loved one. 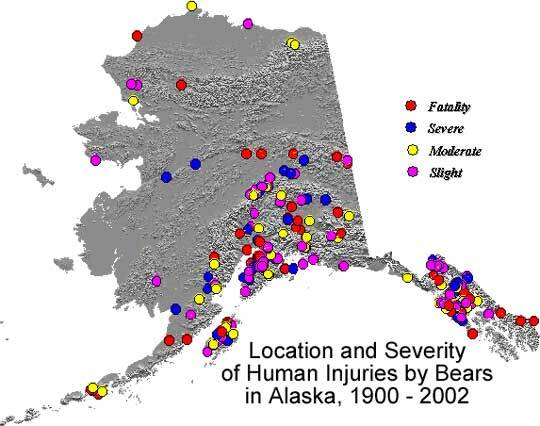 I came across this interesting information on bears while researching bear attacks in Alaska. When face to face with an aggressive bear, standing your ground can save your life. This bear fact sheet from the Tongass National Forest noted most bear encounters are not dangerous. However if you find yourself in bear country be prepared to stand your ground, make your self appear as large and loud as possible. Devon Rees, of Eagle River Alaska, apparently didn’t get the “play dead when a bear attacks you” memo. Devon took it upon himself to go “fist to claw” with this bear which ultimatly saved his life. He went UFC on this bear and came to a draw. Check this bear attack article out. I’m going bear hunting myself this spring, in search of the very bears that have been known to attack humans. These attacks will be fresh on my mind in the next few months. Do these bears deserve a the bad reputation?